You can never have too many notebooks, can you? 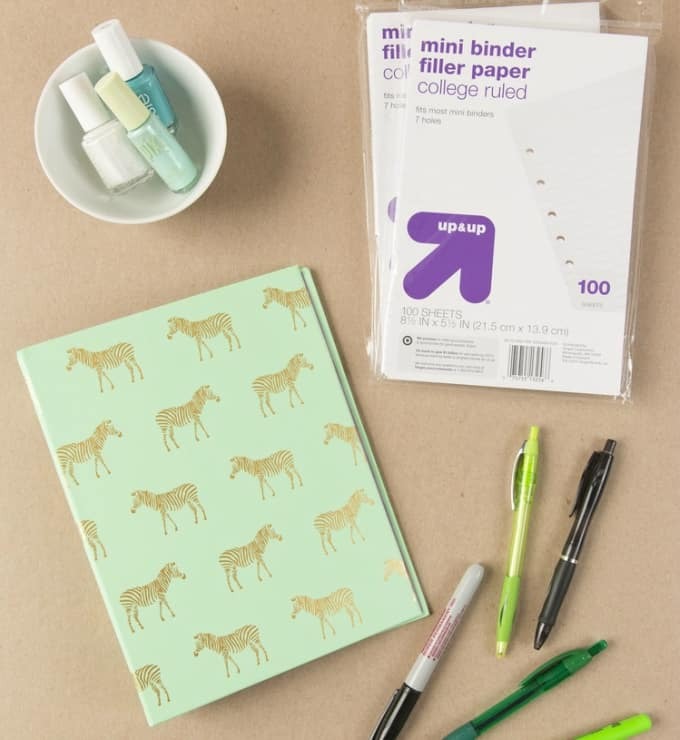 Perfect for planning your week, jotting down notes, or even to assist you with your studies, these items of stationary will never go out of style. Rather than buying up big when it comes to the humble notebook, why not create your own? Not only are you going to save your hard-earned cash, but there’s just no beating that sense of DIY accomplishment. The girls from A Beautiful Mess will show you how to create these cute and thrifty little notebooks. You can use any patterns and colors you want too, so get creative! 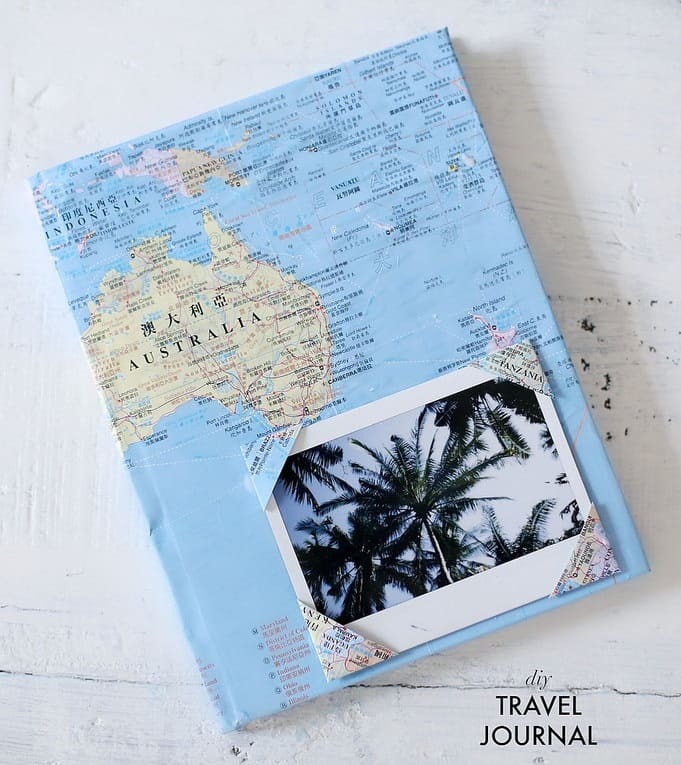 This wonderful DIY travel notebook idea is from A Pair and a Spare. You’ll love this clever, wanderlust-inspired design, so be sure to take a look at the full tutorial! Bohemian Circus is the queen of paper crafts, so it comes as no surprise that these DIY notebooks are nothing short of fab! The Etsy blog will show you how to re-create your own. These simple yet stunning DIY notebooks by Cotton and Flax are perfect for those wanting to flex their creative muscles – in limited time. Mix and match your designs for a unique look! 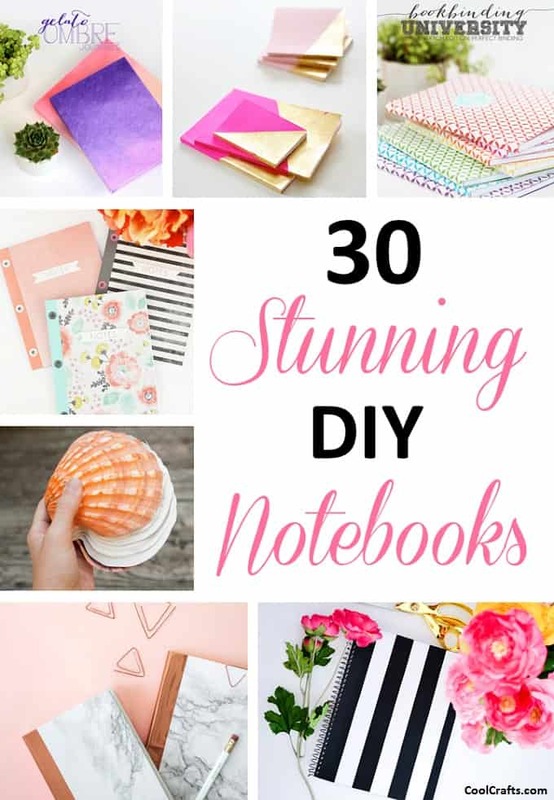 Pink and gold are two color combinations which will (hopefully) never go out of fashion, so you’re going to love these gorgeous DIY notebook ideas from Curbly. They’d also make the most perfect gifts for loved ones. This insightful tutorial from Damask Love will show you how to create your very own hard cover binding – how amazing is that? This skill will come in handy for creating those extra special (and durable) notebooks. The super talented Damask Love has discovered how to easily create eyelet bound notebooks just like these beautiful designs! You’re going to love this useful tutorial. Many of your favorite novels are probably ‘perfect bound’, so imagine creating your very own notebook using this technique? Damask Love will show you how! Who doesn’t love a good ombre pattern? Damask Love will show you how to get this on-trend look in notebook form – created all by yourself! Delineate Your Dwelling has a fantastic tutorial to help you customize any notebook – the opportunities are endless! You’ll want to make more than one of these. Not only does this tutorial from Eighteen25 provide you with these pretty and free printables, but it also shows you how you can decorate your notebooks with them! These DIY embroidered notebooks are from Elle Frost, and they make a beautiful statement piece for any stationary collection. The best part? You’re only limited by your imagination! If eclectic and eye-catching notebooks are your thing, then you’re going to love this DIY idea from Gathering Beauty! Create a whole collection and you’ll be set all year. If you’re someone who likes to carry a notebook in your handbag, then you’re going to love this idea! By adding an additional compartment to your notebook’s cover, you can carry little necessities with you wherever you go. Thanks Jennifer Priest for this awesome idea! It isn’t hard to see why this DIY idea went viral on Tumblr – it’s a notebook made using beautiful shells as a ‘cover’. Lauren Bishop is the talented maker of this project. Speaking of Tumblr, how about these fancy DIY Tumblr-inspired notebooks from Life Ann Style? Simply choose your favorite images and you’re good to go! Lil Blue Boo has a great tutorial for adding gold elements to an otherwise plain black notebook – all you need is a gold Sharpie pen! The possibilities are truly endless with this project. This would have to be the easiest DIY notebook idea in our list! Lily the Wandering Gypsy will show you how she turned a pretty folder and plain paper into a journal. What could be more special than a notebook covered in photos of your favorite memories? Julep has this brilliant idea and you’re sure to love the tutorial! Kate Spade’s black and white striped notebooks are incredibly popular, but if you want to save some precious pennies, why not create your own? This DIY version from Once Upon Her Dream is super thrifty. This Anthropologie inspired DIY notebook from Radical Possibility not only looks great, but it’s so easy to create too! We love the addition of the paper tag. Leather notebooks look chic and expensive, but how can you create your own on a small budget? Scraps of Us will teach you how through this tutorial! If you’re planning a little DIY wedding gift for you and your bridesmaids, why not create your own series of notebooks? Something Turquoise made these using a vintage pastel color scheme. These DIY marbled notebooks from Tell Love and Party are sure to jazz-up your stationary collection! Mix and match your favorite color schemes to create something right up your alley! With a simple template and some Sharpie pens, you too can create a notebook just like this one from The Crafted Life. What will yours say? Using a much-loved palm print and some cardboard, The Forest Door has created their very own notebook! We think it looks incredibly professional. You better believe it – it’s actually possible to make a notebook using a paper bag! The House That Lars Built will tell you all about it. Marble and copper is on-trend for 2016, and thanks to this brilliant tutorial from The Lovely Drawer, you can create your own notebooks in this style. This is a must-see project! Chalkboards are very popular of late, but did you know that you can also transform a notebook using the paint product? Warm Hot Chocolate uses this project to include names on her stationary. We all need a little motivation in our every day lives, so why not incorporate some of your favorite inspirational quotes on your notebooks? Check out this tutorial from We R Memory Keepers to see how.